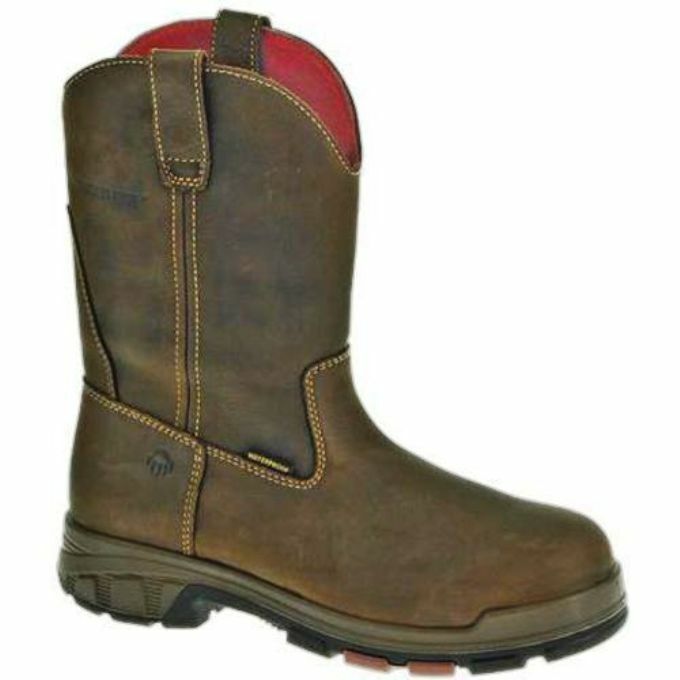 Walk the jobsite in confidence in the Wolverine Men's Cabor EPX Wellington Work Boots. Waterproof uppers and wave mesh linings with PC Dry waterproof membranes help keep your feet cool and dry, while PU midsoles and dual-density, molded PU, Anti-Fatigue footbeds with PeakFLEX™ provide shock absorption and a comfortable ride. Slip-resistant, rubber lug outsoles deliver traction. Pull-on design. Nylon shanks. 10" boot height.